Word for Word's production of 36 Stories by Sam Shepard, at Z Below 5/21/14 through 6/22/14. 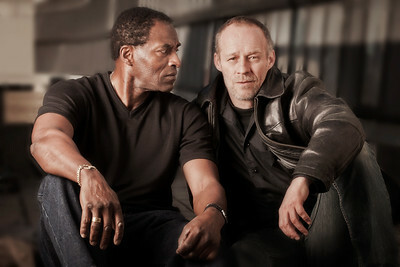 L to R: Carl Lumbly, Rod Gnapp. 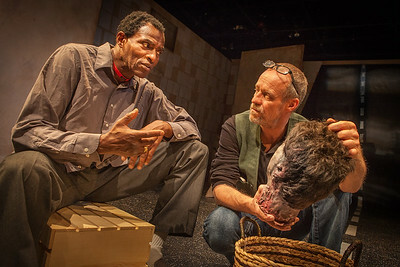 Photo by Mark LeialohaThe Writer (Rod Gnapp) has a philosophical discussion with the spirit of the severed head (Carl Lumbly). Word for Word's production of 36 Stories by Sam Shepard, at Z Below 5/21/14 through 6/22/14. L to R: Patrick Alparone, Rod Gnapp. 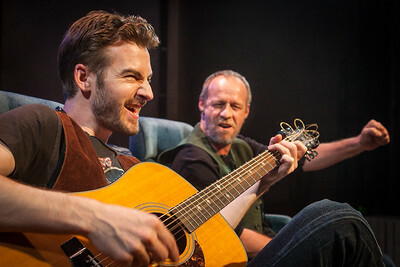 Photo by Mark LeialohaThe Writer (Rod Gnapp) is serenaded on his journey by The Musician (Patrick Alperone). 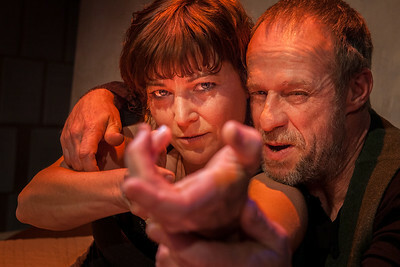 Word for Word's production of 36 Stories by Sam Shepard, at Z Below 5/21/14 through 6/22/14. L to R: Delia MacDougall, Rod Gnapp. Photo by Mark LeialohaThe Mercenary regales The Writer (Rod Gnapp) with tales of her adventures (Delia MacDougall). Word for Word's production of 36 Stories by Sam Shepard, at Z Below 5/21/14 through 6/22/14. 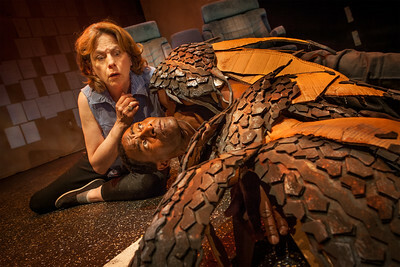 L to R: JoAnne Winter, Carl Lumbly. Photo by Mark LeialohaThe Driver (JoAnne Winter) discovers an injured hawk (Carl Lumbly) on the highway. The Mercenary regales The Writer (Rod Gnapp) with tales of her adventures (Delia MacDougall).